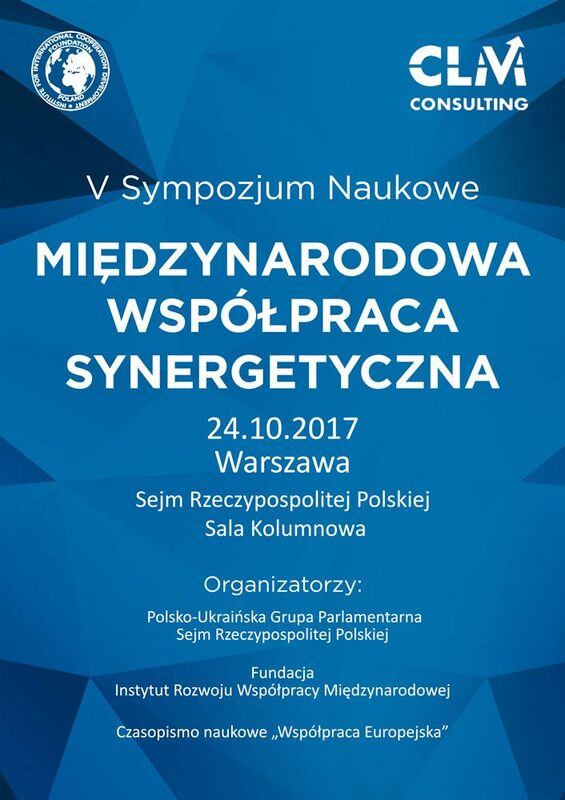 On October 24, 2017 in Warsaw (Republic of Poland), the V Scientific Symposium “International Synergetic Cooperation” was held in the Sejm of the Republic of Poland, which was the regular event in the series of scientific symposia devoted to the development of the international economy, energy, education and science. The event was attended by scientists and entrepreneurs from Poland, Germany, Luxembourg, France, Italy, Ukraine, Georgia. Based on the results of the event, projects in the relevant fields will be presented to the European and National structures to address topical issues on the issues raised.